Mumbai the busy grand city in Maharashtra and financial capital of India is located on the western coast of India. This island city is bordered by Thane on one side and the Arabian Sea on the other side. Mumbai being an important business hub has shown tremendous growth in all respects. 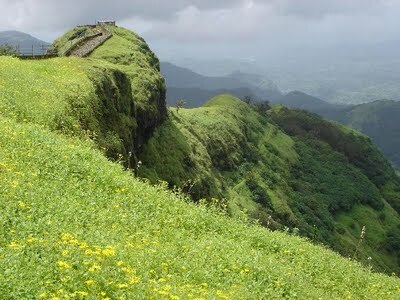 There are many tourist places to visit near Mumbai including many exotic hill stations. As the city is neighbored by Sahyadri ranges there are many nearby hill stations like Panchgani, Amboli, Matheran, Jawahar, Mahabaleshwar, Lonavala, Khandala, Saputara, and Panhala. 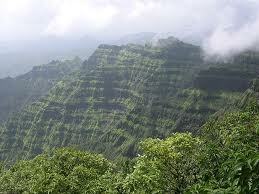 Mahabaleshwar – Near Mumbai is the most popular hill station of Maharashtra. Gifted by a surrounding hilly terrain and thick jungles it produces many commercial as well as medicinal trees & plants. The weather of Mahabaleshwar is pollution free, healthy & contains an ideal of 20% oxygen mixed with aroma of the medicinal herbs. The water of this hill station contains a small percentage of iron which helps to increase hemoglobin in the blood. Mahabaleshwar is blessed with an evergreen plateau offering mesmerizing scenes and a treasure of fruits like strawberries, raspberries and many more. Panchgani – Since it is beautifully surrounded by five hills of Sahyadri it is named Panchgani, which means a settlement surrounded by five hills. This hill station with a healthy climate welcomes the tourists throughout the year. It is settled at a height of around 1300 meters and at a distance of just eighteen km from Mahabaleshwar. Its weather is more popular for its curing qualities where many patients with big ailments get cured. This destination invites the tourists with its panoramic views of the surrounding landscape and the serene Dhom dam. Jawahar – Located at around one eighty km from Mumbai and eighty km from Nashik is a tribal hill station with salubrious climate. The attractions of Jawahar include historical Jai Vilas palace, Sunset point and Hanuman point. The uniqueness of the destination is the possibility of visiting the tribal villages and viewing their rare art form warli painting. These hill stations near Mumbai are the best destinations to visit and enjoy their romantic climate. The places to visit near Mumbai include some tourist’s attractions near Panvel, which are very much convenient to visit. Karnala resort is one of the best places for enjoyment and fun near Panvel. Anjarle Beach – located near Harnai city in Ratnagiri district, it is an unspoilt beach and a small port near the Jog River. Nearest railway station is Kolad, just one hundred seventy seven km to the south-east of Mumbai. Anjarle village offers a typical konkan village experience. It is a place worth visiting during weekends. Harishchandragad Trek - Among the many trekking sites Trek of Harishchandragad is the most popular trekking destination. The attractions of this fort include eleventh century caves with idols of lord Vishnu and the carvings on the temples of Nageshwar as well as Kedareshwar. The mention of this fort is found in many ancient scriptures. Malshej Ghat Waterfalls – Malshej is a splendid mountain pass in Pune district resting amidst the rugged hills of the Western Ghats. Best time to visit this place is between the months August and September. During this time the hills are covered with a greenery and the weather is superb. Many picturesque waterfalls are cascading during this period which is the great attraction for the city dwellers. Lakes at Igatpuri – Igatpuri is surrounded by the Western Ghats and hold many forts of the medieval period. This region is a heaven for hikers and trekkers. The region is so charming that it is the first choice for shooting outdoor scenes of Hindi movies. Tringalwadi Lake in Igatpuri is the best place to explore for weekend picnics.